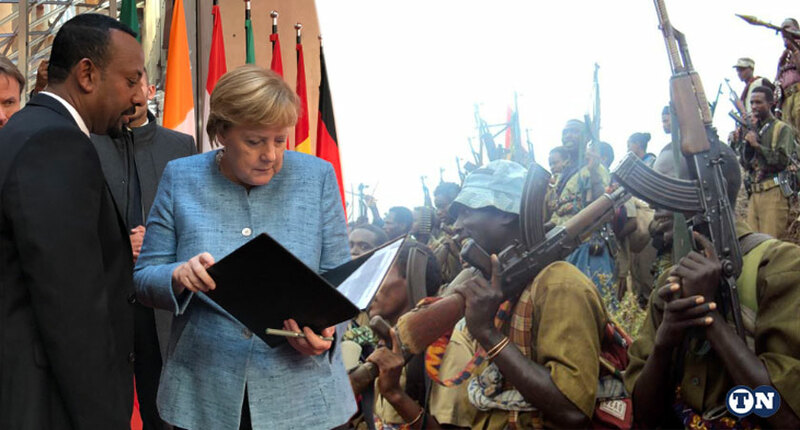 The German government expressed its willingness to finance the demobilization and reintegration of about 35,000 Ethiopian opposition rebel fighters who recently returned from Eritrea. Germany is to finance the demobilization and return to civilian lives of the about 35,000 soldiers of opposition political groups that have recently returned to Ethiopia from their base in Eritrea. Ahmed Shide, the newly appointed Minister of Finance, who has just returned from a visit to Germany, accompanying Prime Minister Abiy Ahmed’s visit to Europe, told reporters in Addis Ababa that Germany has pledged to provide technical and developmental assistance to demobilize the about 35,000 combatants of opposition groups. Soldiers of several opposition groups including Patriotic Ginbot 7, Oromo Liberation Front, Amhara People’s Democratic Movement, the Tigray People’s Democratic Movement have returned home after a call by Prime Minister Abiy Ahmed’s government to return home for a peaceful political process. Most of the returned soldiers have checked into military camps based on agreements with the government but reports that combatants of the Oromo Liberation Front (OLF) still roam around in the south and western part of the country have been a great concern to the government. On Tuesday, President of the country’s Oromo region warns off the consequences of the actions by rebel forces in the south and western regions of the country saying the government has a responsibility to protect the safety of citizens. Megersa said the government had run out of patience. On Friday, Ethiopian government forces clashed with combatants of the separatist OLF in Borena, Southern Ethiopia. According to ESAT sources, at least five government forces were killed in the fight while about 30 OLF soldiers were injured. There have also been reports of casualties on the OLF side, although exact figures were hard to come by. Repeated calls by the government for the OLF to disarm its soldiers have fallen on deaf ears.